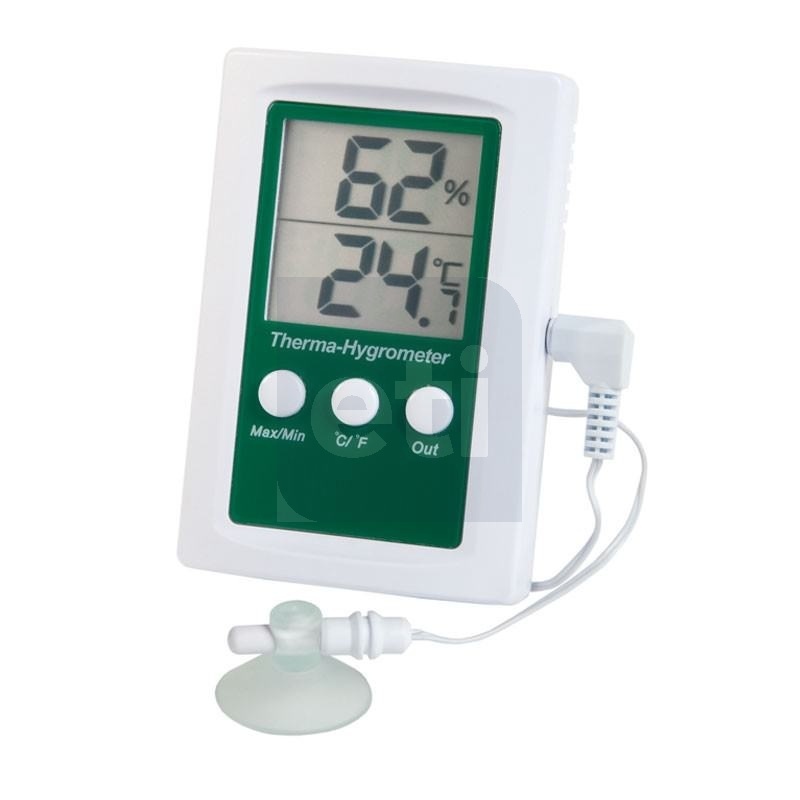 This therma-hygrometer simultaneously displays both the humidity and temperature in addition to indicating and recording the maximum and minimum readings. 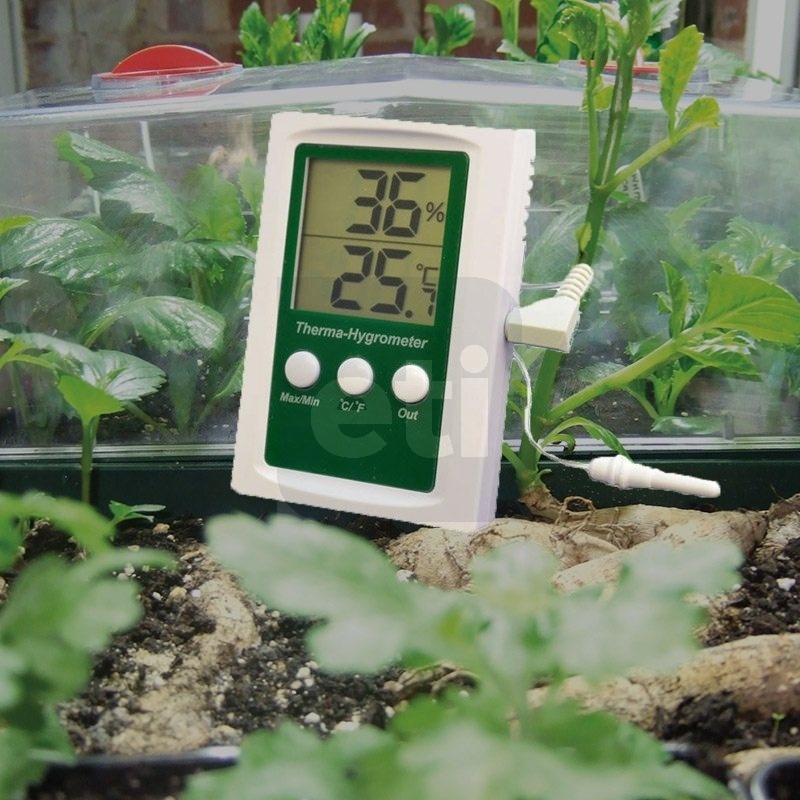 The therma-hygrometer measures both humidity and temperature over the range of 0 to 49.9°C and 20 to 99%rh utilising the internal sensors. Utilising the external temperature sensor the temperature range is extended to -49.9 to 69.9°C. The therma-hygrometer features a temperature alert alarm that will sound when the external remote temperature probe indicates the temperature is 0°C or below. This feature is ideal for frost/freeze alert in horticulture and similar. The therma-hygrometer is housed in an ABS case measuring 20 x 65 x 97mm, the case incorporates a useful foldaway stand and a keyhole slot for hanging on a wall.